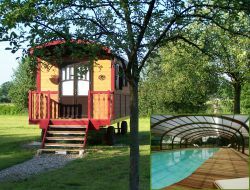 Holiday home in Eure (Normandy), implanted on the height of a big meadow of river, is taken away enough from the village to find natural and quiet for the stay of 4/5 persons there. The river " Charentonne " being of 1st category, the fishing is possible with licence. 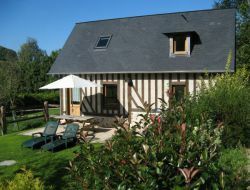 Rent of a pleasant holiday cottage, near Honfleur and near the Seine Bay. Mansard-roofed bedrooms in the floor, fitted kitchen and living room with tv in the ground floor. Terrace without face to face with garden furniture, 2 deckchairs and barbecue. Car park. No pets allowed. 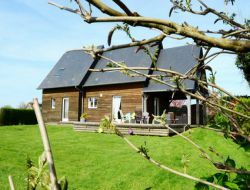 5 minutes from Honfleur, cottage in the countryside (4 people + 1 baby), independent, close to the sea, located in the heart of a green valley surrounded by a beautiful forest on an area of 8000 m² where runs the brook " The Jobles ". 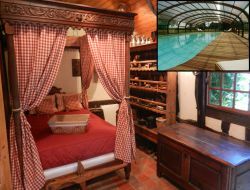 The cottage is lined with a secure and private pond where it is good to rest. Quiet and rejuvenating. View of the orchard and its animals (dwarf goats ...). Ideal for holidays with family or friends. At the heart of the village of Andes in the Eure, renting a cottage for 6 people and a studio for 2 people. 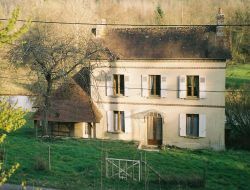 The two are independent accommodation on a plot of 800m ² closed. 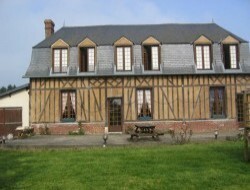 Gite (6-8 pers) situated 5 mn from Honfleur and the bridge of Normandy. Wooden contemporary house, all comfort, 2 chambers, accessible to the persons has reduced mobility, with terrace and big garden. 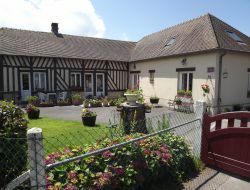 Gite in the peaceful of the countryside while being close to tourist big cities of Normandy. 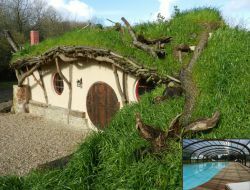 Renting a cottage of character 30km from Rouen and Evreux, surrounded by a walled garden with terrace, sun loungers, parasol, barbecue. Bicycle loan, sleeps 9-11 people. Wifi on request. 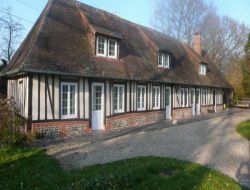 Norman house for weekend and holidays with a capacity of 15 people in 8 bedrooms located in the countryside, quiet, not overlooked, 30 minutes from the sea and Honfleur. 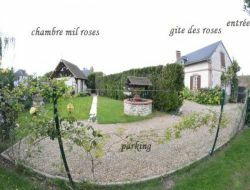 Large fenced private lot with parking and children's games barbecue terrace full sun. Three bedrooms are on the ground floor with terrace access. Nearby: Pont Audemer - Honfleur - Lisieux - Deauville - Trouville - Parc naturel des boucles de Seine.